根據1989年時華納音樂副執行長Jay Morgenstern的說法，電影若有使用到〈生日快樂〉，他們會收取數千到五萬美元的授權金，電視節目則是七百五十到五千美元。 See New York Times "Happy Birthday" and Money it makes (1988/12/26). See Priceonomic, Who Owns Copyright to “Happy Birthday”? (04/14/2015). See The Telegraph, The Richest Songs in the World, BBC Four, Review (12/29/2012). 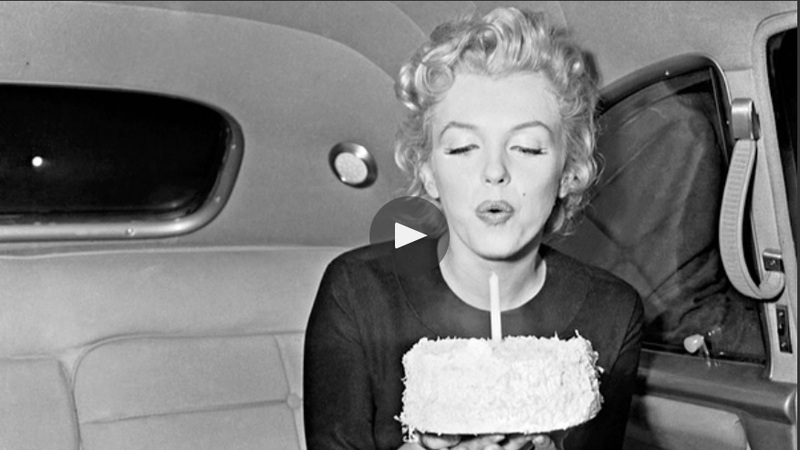 CBS Los Angeles, Woman Among Plaintiffs Who Challenged ‘Happy Birthday’ Copyright Ecstatic Over Ruling (09/22/2015). 在1978年以前，美國著作權法採雙軌制。作者在各州的普通法，享有首次公開出版的權利，而聯邦的著作權則從首次公開出版計算。在1909年的著作權法，即使作者對未經授權出版的著作，長期間的不提起訴訟，除非有明示放棄聯邦著作權的保護，原則上作者對未授權出版的著作仍可享有聯邦著作權法的保護。附帶一提，本案原告的備位主張之一是即使認定希爾姊妹是〈生日快樂〉歌詞的作者，時代雜誌亦報導希爾姊妹早就接受了她們的作品成為了國家的共同財產的事實(long ago resigned to the fact that her ditty had become common property of the nation) ，而這意味希爾姊妹曾明示放棄了歌詞的著作權。法官認為該傳聞證據因為屬於例外允許的情況，因此為可供陪審團審理時的證據。 Marya v. Warner/ Chappel Music , 25 (C.D. Cal 2015). Robert Brauneis, Copyright and the World’s Most Popular Song, 56 Journal of the Copyright Society of the U.S.A, p30. Robert Brauneis, Copyright and the World’s Most Popular Song, 56 Journal of the Copyright Society of the U.S.A, p28. Tyler Ochoa, Technology & Marketing Law Blog, Chain of Title Proves Fatal to “Happy Birthday” Copyright Claim (Guest Blog Post), Oct. 5, 2015. Ben Sisario, New York Times, ‘Happy Birthday’ Copyright Case Reaches a Settlement, (12/09/2015). Eric Bangmen, arstechnica, RIAA trial verdict is in: jury finds Thomas liable for infringement (10/05/2007). Javier Panzar, Boston Globe, Large fine upheld against BU grad for illegal song downloads (06/27/2013). See Jason Mazzone, Copyfraud and other abuses of intellectual property law 6–25 (2011). Nancy Ramsey, New York Times, The Hidden Cost of Documentaries (10/16/2015). Tom Leonard, the Daily Mail, How singing Happy Birthday can cost you a small fortune: Ruthless greed and a Victorian ditty that became the world's favourite song... (08/03/2015). James Boyle, A Politics of Intellectual Property: Environmentalism for the Net?, 47 Duke J 87 (1997). Jason Mazzone, Copyfraud and other abuses of intellectual property law 170-73, 178-79, 190 (2011).